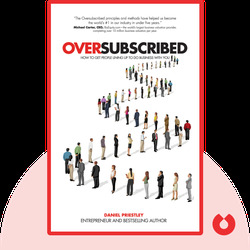 Oversubscribed (2015) explains how to create a business that generates more demand than it can supply. Used by Apple to create a passionate and loyal customer base and by boutique brands to manufacture desire and earn huge profits, the business model of oversubscription both gets attention and keeps it. In these blinks, you’ll learn how it works. Daniel Priestley is a an award-winning entrepreneur who’s been building and buying businesses around the world since he was 21 years old. He is also a sought-after speaker who provides expert business advice, as well as a best-selling author of numerous books, including Entrepreneur Revolution, which he cowrote with Glen McCready. 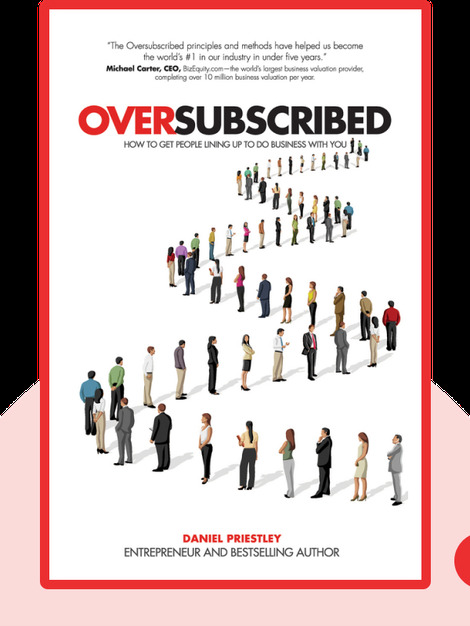 © Daniel Priestley: Oversubscribed copyright 2015, John Wiley & Sons Inc. Used by permission of John Wiley & Sons Inc. and shall not be made available to any unauthorized third parties.